David Casarez, 26, has received hundreds of emails since his resume went viral. Homeless and hungry for success, David Casarez is now on the road to a new life thanks to a stranger's compassion. Jasmine Scofield spotted the 26-year-old Casarez standing on a Silicon Valley street corner with a unique sign and handing out his resume. She shared his story and posted a copy of his resume on Twitter in a post that quickly went viral, capturing the attention of hundreds of potential employers. 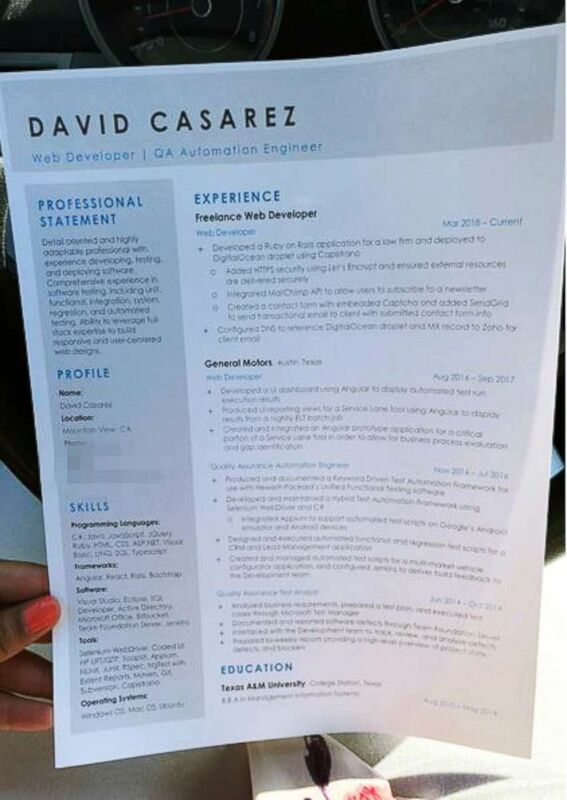 (Jasmine Scofield) David Casarez handed out resumes on a street corner in Mountain View, California looking for a job opportunity. 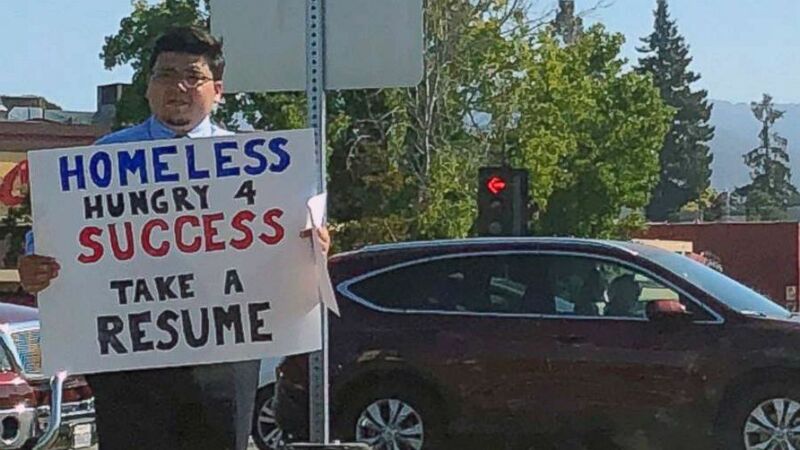 Casarez, an unemployed web developer from Texas living in a park in Mountain View, California, was wearing his finest tie and holding up a sign that read "HOMELESS, HUNGRY 4 SUCCESS, TAKE A RESUME! Scofield posted, "Today I saw this young homeless man asking for people to take a resume rather than asking for money. Please RT (retweet) so we can help David out." Casarez said Scofield gave him the outcome he had hoped for. 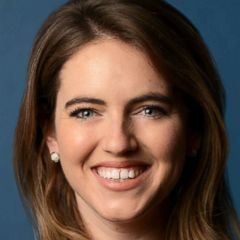 "I told myself all I need is one person to take my resume and say, 'Hey, I'm going to give an opportunity to this guy,'" the college graduate told ABC News. Which is exactly what Scofield said she thought to herself, "If I were in that position, I would want someone to help me." The Texas A&M University graduate previously worked at General Motors before moving to Silicon Valley to pursue his tech startup dreams. He became homeless after spending all his money attempting to start his own tech company. (Jasmine Scofield ) David Casarez handed out resumes on a street corner in Mountain View, California looking for a job opportunity. On that fateful day when he met Scofield, he said the two talked for a few minutes before she put the post on Twitter that received over 120,000 retweets and nearly 200,000 likes. "It hit almost 10,000 by the end of the night," Scofield said of the posts early number of retweets. "That's when I started getting calls and email messages," Casarez said. He said he has received expressions of interest from Netflix, Pandora, Apple, Google and Amazon and other companies. Casarez offered thanks on Twitter for the "outpouring" of support.